2. What service can we offer9 We can provide all products in our website. You can contact with our sales to discuss about the discount. And you also can choose the express for your convenience as you wish. 2. Apply base coat, 36W UV light-cured for 60 sec(18W LED for 30 sec). 3. Apply color coat, 36W UV light-cured for 120 sec(18W LED for 60 sec). 4. Repeat step 3 to better keep the color saturation, then 36W UV light-cured for 120 sec(18W LED for 60 sec). We will try our best to give customer the best services in all heart and all soul. 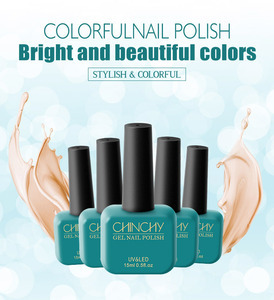 We have abundant of popular colors, you can choose any ones you like. Sample order is ok, trial order is Free sample can be offered. Guangzhou Dingze Chemical Technology Co., Ltd.
Guangzhou Colorfeel Cosmetics Co., Ltd.
3.Apply a thin layer of rainbow Base Coat, cure polish under LED lamp about 30 seconds. 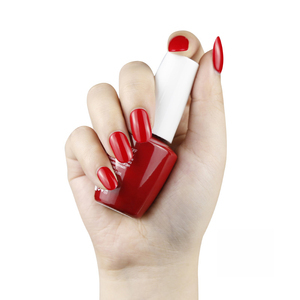 4.Apply a thin layer of rainbow KISSgel Color Gel, cure polish under LED lamp about 30 seconds. 5.Apply a thin layer of rainbow Top Coat, cure polish under LED lamp about 30 seconds. 2. Apply base coat, 36W UV light-cured for 60 sec(18W LED for 30 sec). 3. Apply color coat, 36W UV light-cured for 120 sec(18W LED for 60 sec). 5. Finally apply soak-off top coat,36W UV light-cured for 120 sec(18W LED for 90 sec). 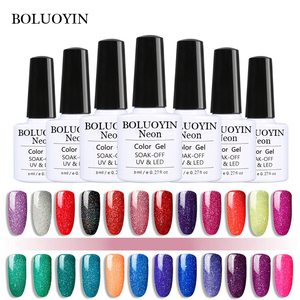 Alibaba.com offers 87,136 nails polish gel uv products. About 67% of these are uv gel, 7% are uv lamp, and 1% are artificial fingernails. A wide variety of nails polish gel uv options are available to you, such as free samples, paid samples. 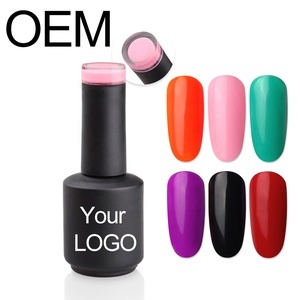 There are 86,988 nails polish gel uv suppliers, mainly located in Asia. 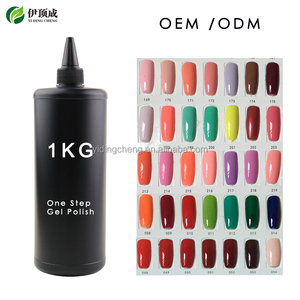 The top supplying countries are China (Mainland), United States, and Taiwan, which supply 96%, 1%, and 1% of nails polish gel uv respectively. 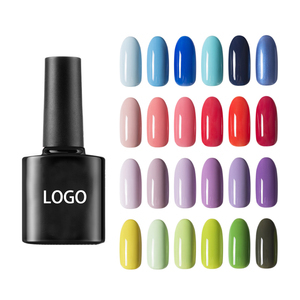 Nails polish gel uv products are most popular in North America, Western Europe, and Eastern Europe. You can ensure product safety by selecting from certified suppliers, including 8,973 with Other, 4,032 with GMP, and 2,119 with ISO9001 certification.